Quietly situated in the Britz area of Berlin, this hotel offers soundproofed rooms, a 24-hour bar and free WiFi in all areas. 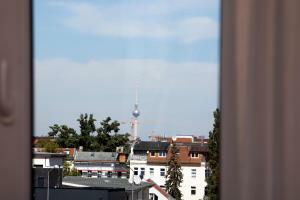 It is 1 minute from Berlin's A100 motorway and a direct bus ride from Schönefeld Airport. 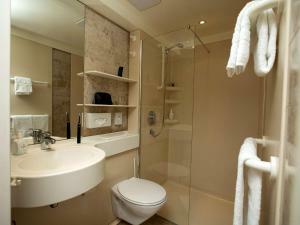 All rooms at the Ibis Berlin Neukölln include a private bathroom with hairdryer. Free internal terminals are available in the lobby for guests. A large breakfast buffet is available between 06:30 and 10:00, and an early and late breakfast service can be arranged upon request. 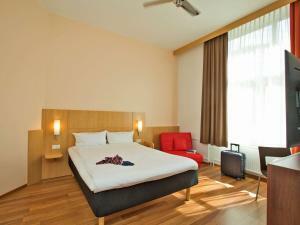 The Ibis Neukölln is a 1-minute walk from Grenzallee Underground Station. The large Gropius Passagen shopping mall is 4 underground stops away. A bus stop for Schönefeld Airport is 150 metres from the hotel. The surrounding area offers a wide range of German and international restaurants. 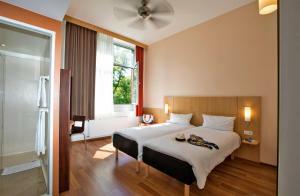 Estrel Convention Center is a 5-minute car journey from Ibis Berlin Neukölln. Please note that private parking needs to be reserved prior to arrival. Please contact the hotel in advance to make a reservation. 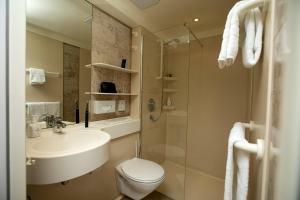 Guests travelling with children are kindly asked to inform the property in advance about the age of the children. Children aged 0 - 5 years receive free breakfast if at least 1 adult has booked breakfast. Children aged 6 - 11 years pay € 5.50 per day for breakfast. Children's breakfast is generally not included and needs to be paid on site. Modern room with a desk, TV and private bathroom.